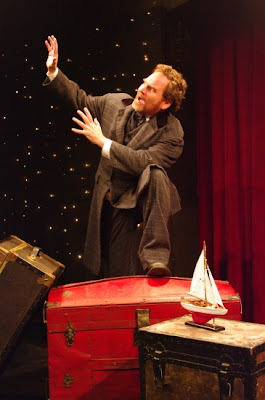 Theater Review: Phoenix Theatre: Shipwrecked! At the corners of St. Clair and Park, tucked in among beautiful homes, sits a former church cloaking The Phoenix Theatre. Currently on stage is Shipwrecked! An Entertainment through November 8. Casting Indy’s theater-pillar Charles Goad (The Fantasticks, The Merchant of Venice, A Christmas Carol) was more than enough reason for me to accept a review invitation. For whatever reason, although normally known for its edgy, adult-themed productions, Phoenix has granted Indy with a monumental performance which is G-rated. Don’t ask why, simply enjoy. When they decide to offer a family-friendly production, they do it up right. 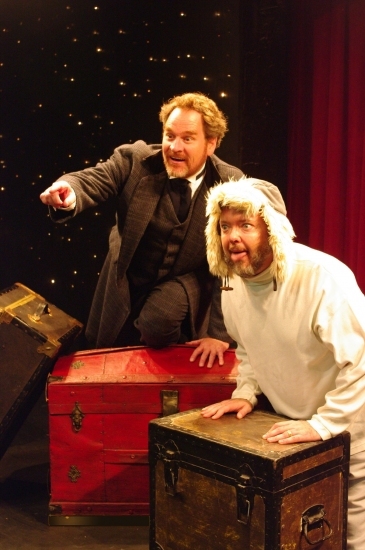 Another of my local favorites, Eddie Curry (The Producers, Don’t Dress for Dinner) portrays almost two dozen characters throughout the show proving his multi-tiered talent works on stages south of the pyramids. I had long fostered that particular hope and am pleased to see the fruition of my prayers. Using the less-is-more theory, the almost one-man show revolves around the story of a man who lives to tell about his exciting adventures on the high seas. Some step up to discredit him, but he holds tight to his story, giving the audience that last chance to believe in him. There are not enough superlatives to honor the quality of actor portraying the lead character, Louis de Rougemont. Goad represents the best of the best in live theater and it is, as always with this gentleman, pure joy to watch him in action. If you have never basked in the glow of the talent which is Charles Goad, then here’s your chance --- Don’t botch it. Bottom Line: Whether you need to beg, borrow or empty your nephew’s piggy bank, get the fifteen Georges together for a ticket to this show. The immense satisfaction of money well spent will be your just reward. Shipwrecked! is quite clearly one of this year’s best values and should be required viewing for every school age child in the metropolitan area. Looking as if she had just stepped off a wedding cake, my lovely daughter, Britani Nicole, floated down the aisle this weekend into the arms of her prince, Simon, standing at the altar. When your baby has found The One, you know your own life is changed forever. Held at Community Church of Greenwood, the small, intimate affair had a dreamy effect through the use of candlelight and plum calla lilies. My princess’ gown with rum-pink bead work gently sprinkled across it and the handmade veil were reminiscent of a bygone era. Her dark tresses were curled and flowed gracefully down her back. Certainly, Walt Disney has never created for his films a princess as beautiful as mine. I attempted, before the ceremony, to describe to her in a mother-daughter moment, how much love I felt for her and found it ironic that as someone who writes weekly about strangers, I could not find the right words for this so-personal situation. I hope she understood my heart’s meaning, anyway. I was honored, and humbled, by my child’s request that I walk her down the aisle. I now know how a dad feels when walking the last walk with your little girl. It was over so quickly, and yet memories of her childhood were able to race through my mind at a lightning speed. Arriving into this world in 20 minutes flat, the 9-pound, 12-ounce bald baby let me know right away I would for- ever be twisted around her long elegant finger. 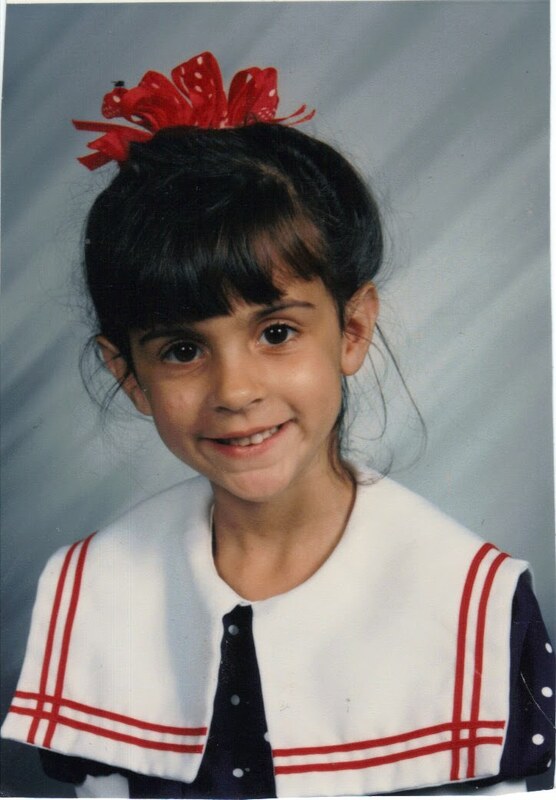 With memories of stitches from a bike fall, dead pets (hermit crab), the American Girl sleeping bag incident, science projects, PTO meetings, talent contests, proms, boyfriends, moving to college, and now the wedding flooding my thoughts, I was overwhelmed with a bitter sweetness. Would I be on the sidelines now, forever watching from the bleachers as she steps boldly, as she always does, into her new life? Were these steps down the aisle the last steps I would take with her? So I know that although she has moved far away physically, she will always be right here with me. And one day, Princess Britani will contact me via her cell phone, announcing through an ultrasound photo, that she will be giving me a grandchild. Until then, I will be content to know that God chose me, and no one else, to be her mother and share this joyous ride of her life.